This edition consisted of 350 sets of facsimile reproductions of all 435 Audubon Havell originals. The 435 different prints were bound into four volumes for about 300 of the 350 sets, and the remaining prints were sold as loose sets. 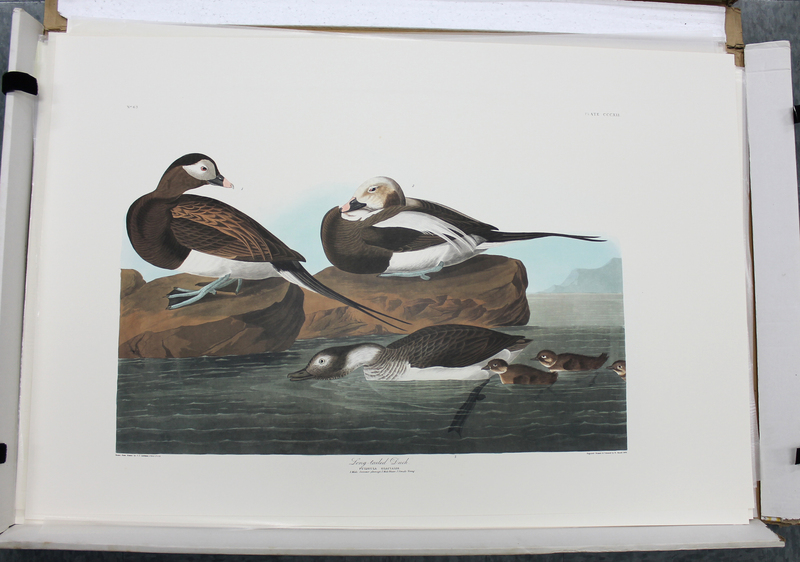 The Abbeville Edition was the 2nd complete reproduction of Audubon’s original Havell Edition of 1826-38. The 1971-72 Amsterdam Edition was the 1st. Each of the 435 different prints measured about 26-1/2” X 39-1/2”. They were printed on a coated 100% acid free cover stock paper manufactured by Mohawk Paper Co. in New York State. This paper is creamy white in color and is somewhat smooth (not glossy).